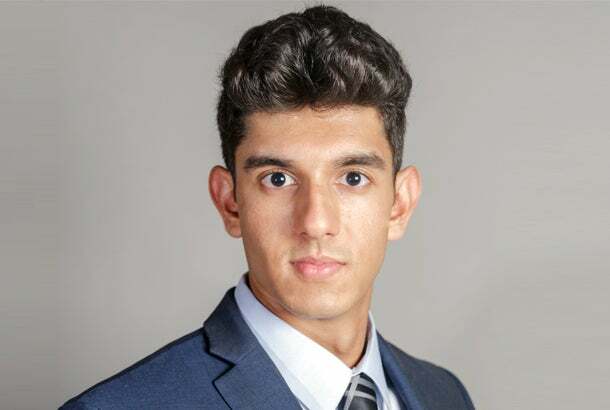 Ron Balchandani was not your typical teenager: At age 17, he was already working at an accounting firm, learning about business financials. Then, while attending UCLA, he worked at a mutual fund advisory. So he felt primed to dive into owning his own franchise business at the (still relatively tender) age of 19. The franchise he chose was Minuteman Press, which he today cites for its loyalty to franchisees and its concern for individual owners rather than just "looking out for its own brand." I have been a Minuteman Press franchise owner for over one year. A franchise is a proven system, and I didn't want to reinvent the wheel. By going with Minuteman Press, I knew that there was a proven formula for franchise success, and I was able to reduce my level of risk. Additionally, franchises negotiate with vendors regarding the price of quality merchandise. A franchisor has more bargaining power than I would as an individual small business owner, so [the company] can bring the cost down on supplies I need to do business, compared to what I would otherwise pay on my own. I am now 21 years old and began franchising with Minuteman Press when I was just 19. I was comfortable in owning my own business at such a young age because I had worked at an accounting firm when I was 17, where I learned the financials of several businesses. Later on, I went on to work at a mutual fund advisory firm, while attending UCLA. Minutemen Press is the leader in the print and marketing-services industry, and it was important for me to join a franchise system that cared about me as both a person and a young entrepreneur. Minuteman Press in particular impressed me because they have a reputation for loyalty to their franchisees, which I learned by talking to other franchise owners who are very happy with the training and support they were given. Unlike other franchisors that [I observed] were clearly looking out for their own brand -- more than me as an individual -- Minuteman Press showed me early on that they truly wanted me to become a success story. Some other franchises cared only about brand awareness for their franchise, but Minutemen Press was different. Total costs were around $124,000. Furniture and fixtures were $23,700, digital and offset print equipment and systems were $90,700 and the computer systems were $9,500. I gained an understanding of business financials while working for an accounting firm. As far as advice, I listened to input from other Minuteman Press franchisees and also appreciated that Minuteman Press had a full training and support program in place. I had no printing or marketing experience before opening my franchise, and I’ve appreciated all of the training and support I’ve received from the corporate office as well as my local support team that Minuteman Press makes available to me. My regional vice president, Dan Byers, and field marketing representative, Jack Panzer, are just great to work with on the local level. I did a great deal of research before opening this business. Even with all my preparation, opening the business was far from easy. The biggest challenge had to do with my age. Starting up at 19 and now being 21, my employees were and still are significantly older than me, and I knew that being led by a much younger person could be difficult for them. To address this, I made certain that all employees were given a chance to share their opinions before I made any major decisions for the store. As a result of working closely with my employees and valuing their input, we have grown into an extended family. Working hard and working smart are important. In terms of working hard, I made sure my employees always went the extra mile for each customer and kept the location looking clean and professional. It sounds simple, but cleanliness can make a huge difference in how customers perceive your franchise. It’s also important to work smart, and one way that I work smart is by using technology. New technology has allowed me to cut costs, increase productivity and reach out to customers efficiently. The best way to learn is to follow the examples of other people who are already successful. On the other hand, some people can be a detriment or a bad influence. Young people need to learn to tell the difference. My dad always told me, growing up, that, “If you walk with the lame, you learn to limp.” Since 80 percent of startups fail in their first two years, it’s important to start off with a solid foundation. Franchising is a great way to accomplish this as long as you are willing to work hard. The next step is to expand my Minuteman Press franchise to a new level of operations. Personally, I have big plans for the future, and in my spare time I have been working on a book meant for young adults to learn about investing. I’d like to say that students should learn to invest. Universities and colleges rarely teach students to budget and make money without having a job. Most of all, they prepare graduates to work for someone else in a normal 9-to-5 job. Young adults must learn to purchase appreciating assets. I was taught early on that I should “spend the return, never the principal.” It is better to invest what you save and spend only the profits. I strongly believe young adults need to understand this concept early on. Related: Become a Franchisee at Age 21? Just Ask Hailey Nault. She Pulled It Off.